“The way of martial arts are Amaterasu Omikami (the great sun goddess), Japan’s building at the time the gods came, before the place the leading gods, the warrior gods, this meadow of the country in which the violent gods were made peaceful. The gods at the beginning, just, not selfish, 100%, to Heaven’s duty and grace responded. In this way, the old song: “Umi ukaba mizu tsuku shikabane, yama ukaba kusa musu shikabane, okimi no soba ni koso shiname kaeri ni ha seiji.”(“In the ocean, dead body. In the mountain, in the grass, dead body. Beside the prince I will die.”), as it is written. This is the martial way’s fundamental spirit, it can be said of this song. okimi no soba ni koso shiname kaeri ni ha seiji. In the ocean, dead body. In the mountain, in the grass, dead body. Beside the prince I will die. A powerful poem here. We see the fundamental spirit of classical Japanese budo. A tragic outlook but a heroic one. In many Japanese samurai fables and movies, we frequently encounter tragic heroes. A good example of this tragic ethos is embodied in the famous story of the 47 Ronin, which some view as Japan’s national legend since it is emblematic of many of the virtues that the Japanese people admire: loyalty, sacrifice, persistence, and honor. 1. to polish the physical body; in other words, to prepare and ready the body for exertion. 2. to make supreme efforts for the prosperity of the Emperor and the nation. This last point, to make supreme effort for the Emperor, is very much the essence of the philosophy of the samurai, that of service. The original meaning of the word “samurai” meant “to wait upon or accompany a person in the upper ranks of society” and “those who serve in close attendance to the nobility.” And in a military world with clan fighting clan especially during times of unrest such as the Sengoku Jidai, military service for one’s lord carried with it the real potential for a tragic ending to one’s life. But in such service was heroism. To sacrifice yourself for others. Tragic but heroic. Sugino Sensei makes an important point. He talked about “…the martial way’s fundamental spirit.” We must not forget that in the end, budo training is about this. We can teach techniques, endless techniques, but it is all for naught if we do not teach about the soul of budo. Techniques are just the physical and the technical. But the traditions and the customs and the morals and the ethics of swordsmanship, these are the spirit of budo. It is like the letter of the Law and the spirit of the Law. Just teaching techniques is empty, like a corpse. You need to have the soul to make it complete. This is the essence of traditional Japanese budo. Part Two of this excellent article will be posted in a few days. Thank you so much, Doug! Many readers are familiar with Mr. Tong’s articles. He has has been a frequent contributor to our site. 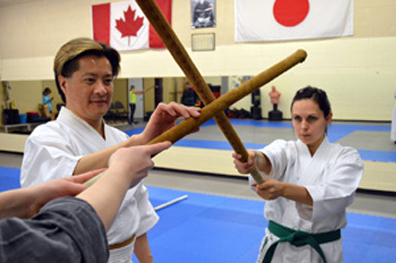 Each article offers valuable insights into the heart and soul of the traditional martial arts. 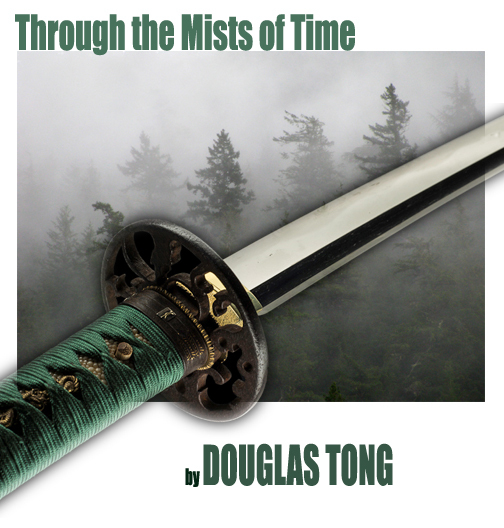 I strongly encourage readers to click on Douglas Tong’s name in the archives section to the right to access more of his articles.